Computational Thermodynamics of Materials, textbook by Drs.Liu and Wang available in hardcover and Kindle on Amazon.com. March 14, 2019 Congratulations to Dr. Shihuai Zhou (PostDoc, 2004) for joining Arconic in Pittsburgh area since March, 2019. Welcome back to Pennsylvania! February 8, 2019 Congratulations to Laura Jean Lucca Weidman (BS, 2010) and Nick for their first child, Amelia Jean Weidman, born on 2/8, 2019! Photos are available in our photo Alumni Album. This is wonderful. January 18, 2019 Congratulations to Matthew Feurer for successfully passing his Candidacy Exam! December 17, 2018 Congratulations to Kate Adkison for being the EMS Commencement Marshal. Kate will start to work in Carpenter in March 2019. Furthermore, congratulations to Cassie Marker (PhD 2017) on her marriage to Tobias Frueh. November 5, 2018 Congratulations to Austin Ross (PhD 2017) who started as a Materials Modeling Engineer at Pratt and Whitney in East Hartford, Connecticut on October 8th, 2018! October 22, 2018 Congratulations to Dongwon Shin (PhD 2006) who was in the ORNL team that developed the ACMZ Cast Aluminum Alloys as a new engine materials in Fiat Chrysler Automobiles (FCA) cars! September 21, 2018 Congratulations to Cassie Marker (PhD 2017) who will start as a Product Market Development Refractory Engineer at Almatis in Frankfurt, Germany on November 1, 2018! July 11, 2018 Congratulations to Katelyn Adkinson for receiving the Kaufman CALPHAD scholarship which will be presented at TMS 2019! July 7, 2018 Dr. Zi-Kui Liu was selected as the Nominee for Vice President of ASM International. June 29, 2018 Congratulations to Chelsey Zacherl Z. Hargather for her second child Natalie Paige Hargather arrived early in the morning on June 29. May 2, 2018 Congratulations to Hongyeun Kim, and Matthew Feurer for receiving their travel grants attending MS&T18 conference! Thanks to the benefactor Mrs. Jean Shollenberger Beaver! April 18, 2018 Drs. Weiming Huang and Zi-Kui Liu MaterialsGenome Scholarship is established! April 11, 2018 PSU News: New sodium-ion electrolyte may find use in solid-state batteries! April 10, 2018 Congratulations to Brandon Bocklund for being offered the NASA Space Technology Research Fellowship and for receiving an Honorable Mention from the National Science Foundation Graduate Research Fellowship Program! March 16, 2018 Dr. Liu, Dr. Wang, Dr. Shang, Jorge Paz Soldan and Brandon Bocklund attended TMS conference held in Phoenix, Arizona and met Phases research alumni including Raymundo Arroyave, Bill Golumbskie, Chelsey Hargather, Yongjie Hu, Greta Lindwall, Zhi-Gang Mei, Richard Otis, James Saal, Arkapol Saengdeejing, Dongwon Shin, Yu Zhong, Bi-Cheng Zhou, Shihua Zhou, Bill Wang, and Tao Wang. Congratulations to Dr. Liu for receiving the Hume-Rothery award (PSU News). March 9, 2018 Congratulations to Huazhi Fang (Postdoc, 2016) who now works as a materials simulation and device modeling scientist at Intermolecular in San Jose, California. Feb 20, 2018 Congratulations to Kate Adkison who received the 2017/2018 URF award in the department! Jan 24, 2018 Congratulations to Dr. Liu for being a Distinguished professor! Jan 22, 2018 Congratulations to Jorge Paz Soldan and Brandon Bocklund for successfully passing their Candidacy Exams! Dec 04, 2017 Congratulations to Pinwen Guan for successfully defending his PhD thesis. Sep 11, 2017 Congratulations to Austin J. Ross (PhD 2017) who started as a Sr. Engineer at Alegheny Technologies Incorporated (ATI) Specialty Materials in Monroe, NC on September 11th, 2017. Sep 06, 2017 Congratulations to Cassie Marker (PhD 2017) who started as a Research Associate in the Institute of Computational Biomedicine at Forschungszentrum Jülich in Germany on September 6, 2017. Aug 25, 2017 Congratulations to Bi-Cheng Zhou (PhD 2015) who will start as an Assistant Professor in the Department of Materials Science and Engineering, University of Virginia (UVA) on August 10, 2018. Aug 18, 2017 Dr. Liu shared a couple of our recent presentations which contain some general slides on our works. Aug 18, 2017 Congratulations to Austin Ross for successfully defending his PhD thesis.! July 12, 2017 Congratulations to Mei Yang (MS, 2006) for joining Worcester Polytechnic Institute as Assistant Research Professor and Associate Technical Director of the Center for Heat Treating Excellence! July 11, 2017 Congratulations to Yu Zhong (Ph.D. 2005) who will start to work in Department of Mechanical Engineering of Worcester Polytechnic Institute (WPI) in August as Associate Professor! June 16, 2017 Hongyeun Kim, Cassie Marker, and Dr. Liu participated at the 2017 CALPHAD Conference in Saint Malo, France, and met several PRL alumni: Raymundo Arroyave, Bonnie Lindahl, Arkapol Saengdeejing, and Jiong Wang. June 6, 2017 Congratulations to James Saal (PhD 2010) for being promoted to Manager of Technology at QuesTek Innovations! May 10, 2017 Congratulations to Cassie Marker for successfully defending her PhD thesis. May 5, 2017 Since Jan 2017, Guang Sheng (PhD 2011) has been working for Owens Corning Science & Technology Center at Granville, Ohio as Advanced Engineer, in the center of excellence for advanced modeling and mimics for Owens Corning’s composite solution business. April 19, 2017 Congratulations to Zhi-Gang Mei and Wei Dai for the birth of their second son, James, born last week! April 5, 2017 Congratulations to Brandon Bocklund, Hongyeun Kim, and Austin Ross for receiving their travel grants attending TMS, ICME, and MS&T conferences, respectively! Thanks to the benefactor Mrs. Jean Shollenberger Beaver. Feb 23, 2017 Pinwen Guan was awarded the Larry Kaufman Scholarship to attend CALPHAD 2017. Congratulations! Feb 17, 2017 Our congratulations to Hui Zhang (PhD, 2010) and Guang Sheng (PhD, 2011) for their second baby, Grace, born today at Mount Camel St.Ann’s hospital in Westerville. What wonderful news! January 10, 2017 Dr. Liu visited Bill Wang (PhD 2013) at Northwestern Polytechnic University in China where he is an associate professor. Also met Kang Wang there. December 23, 2016 In fall 2016, three visiting scholars joined our group: Lei Ni (August), Qianxin Long (November), and Xiaoyu Chong (December). Welcome on board! December 23, 2016 Congratulations to Hongyeun Kim for successfully passing his comprehensive exam! December 14, 2016 Congratulations to Pinwen Guan for successfully passing his comprehensive exam! December 1-3, 2016 Dr. Liu visited Michael Manley at Oak Ridge National Lab and gave a seminar at Materials Science & Technology Division. He had extensive discussions with PRL Alumni Dongwon Shin and met his wife and two wonderful boys (Austin and Daniel). PRL graduate student Cassie Marker is at ORNL this Fall for her neutron scattering experiments. November 24-25, 2016 Dr. Liu visited the Karlsruhe Institute of Technology in Germany for a DFG priority project review and gave a seminar at Institute for Applied Materials – Applied Materials Physics led by Hans Seifert. November 17, 2016 Dr. Liu visited the Department of Materials Science and Engineering, University of Connecticut and gave a departmental seminar. November 15, 2016 TMS announced that Dr. Liu will be the recipient of the TMS 2018 William Hume-Rothery Award. October 31, 2016 Dr. Liu and Cassie Marker attended the MS&T conference held in Salt Lake City from October 23 to 27. They also met PRL alumni: Raymundo Arroyave, Chelsey Hargather, Greta Lindwall, James Saal, Bill Yi Wang, Laura Jean Lucca Weidman, Yu Zhong. Dr. Liu also visited University of Utah and gave a departmental seminar there on Oct. 21. September 31, 2016 Dr. Liu visited Prof. Yu Zhong (PhD 2005) at the Florida International University and gave a departmental seminar. September 22, 2016 Dr. Liu visited the Institute of Metal Research, Chinese Academy of Sciences and received the Lee Hsun Lecture Award . He gave a presentation on Computational Thermodynamics, Materials Genome and Materials Design. Dr. Liu also visited Collective Innovation Center of Steel Technology at University of Science and Technology Beijing (USTB) and PRL alumni (Xidong Hui, YongFeng Liang, Cuiping Guo, and Fang Chen) at USTB. July 27, 2016 Congratulations to Chelsey Hargather (PhD, 2012) who will become an Assistant Professor of Materials & Metallurgical Engineering at New Mexico Institute of Mining and Technology in August 2016! July 13, 2016 Dr. Liu gave an invited presentation on “Thermodynamics of critical phenomena and nanograin” at the Gordon Research Conference on Structural Nanomaterials held at The Chinese University of Hong Kong. ” at 2016 Diffusion in Solid and Liquid Conference at Split, Croatia. June 17, 2016 Congratulations to Yong-Jie Hu for successfully defending his PhD thesis! June 16, 2016 Congratulations to Richard Otis for successfully defending his PhD thesis! ”, sponsored by Hubei Province World-Renowned Scientists Lecture Program. May 29 – June 3, 2016 Dr. Liu, Richard Otis, Yong-Jie Hu, Austin Ross, Cassie Marker, and Pinwen Guan participated at the 2016 CALPHAD XLV Conference in Awaji, Japan and met PRL alumni Raymundo Arroyave (2006), Arkapol Saengdeejing (PhD, 2011), and Jiong Wang (2012). May 23, 2016 Congratulations to Dr. Shang and Dr. Wang for being promoted to senior scientist! May 16, 2016 Congratulations to Austin Ross for passing his comprehensive exam! May 6, 2016 Congratulations to Yong-Jie Hu and Pinwen Guan for receiving the travel awards to attend the CALPHAD XLV meeting in Awaji, Japan! April 24, 2016 Dr. Tao Wang (PhD, 2006) has moved back to Pennsylvania to work at Carpenter Technology at Reading! Congratulations and welcome back! April 14, 2016 Cassie Marker was awarded Coppola Graduate Student Excellence Award for Student Service and Leadership and 2016 Materials Science and Engineering Safety Award. Congratulations! Mar. 31, 2016 Cassie Marker was selected to receive the U.S. Department of Energy Office of Science Graduate Student research (SCGSR) award for the proposed SCGSR research project, “Designing a knowledge base of thermodynamic and elastic properties of Ti-alloys for biomedical applications with a focus on martensitic transformations”, to be conducted at Oak Ridge National Laboratory (ORNL), from 9/1/2016 to 12/31/2016. Congratulations! Mar. 25, 2016 Congratulations to Cassie Marker for successfully passing her comprehensive exam! Mar. 21, 2016 Congratulations to Pinwen Guan, Yong-Jie Hu and Austin Ross for receiving an STT scholarship to attend the CALPHAD 2016 meeting! Mar. 14, 2016 Austin Ross was awarded the Larry Kaufman Scholarship to attend CALPHAD 2016. Congratulations! Jan 30, 2016 Former group member Neal Kelly has started working on machine learning techniques to analyze healthcare data at UnitedHealth Group’s research and development offices. We offer him our congratulations! Oct 13, 2015 Congratulations to Bi-Cheng for a successful defense of his PhD thesis. A job well done! Sep 1, 2015 Congratulations to Hongyeun Kim for successfully passing his Candidacy Exam! Sep 1, 2015 DongEung Kim (PhD, 2011) has moved to KITECH (Korean Institute of Industrial Technology). Congratulations! July 30, 2015 Congratulations to Weiwei Xu (visiting scholar, 2014) for getting an assistant professor position at the Department of Aeronautics in Xiamen University! He will start his new job after defending his PhD thesis in August. We wish him all the best in his career! July 24, 2015 Congratulations to Austin Ross for successfully defending his MS thesis! July 4, 2015 Congratulations to Bill Golumbfskie (Ph.D. 2005) for the birth of his first child, Alexander James Golumbfskie. May 5, 2015 Dr. Yi Wang’s work has been featured on the cover of the Journal of Computational Chemistry. March 30, 2015 Congratulations to Cassie Marker for receiving an STT scholarship to attend the CALPHAD XLIV meeting in Loano, Italy! March 23, 2015 Dr. Shengjun Zhang (PhD, 2006) has moved back to Pennsylvania to work at Textron Inc.- Lycoming Engines at Williamsport! Congratulations and welcome back! March 15-19, 2015 At the TMS2015 annual meeting in Orlando, Florida, Dr. Liu met PRL alumni Raymundo Arroyave (PostDoc, 2006), Venkateswara Rao Manga (PostDoc, 2010), Chao Jiang (PhD, 2004), Yu Zhong (PhD, 2005), William Golumbfskie (PhD, 2005), Dongwon Shin (PhD, 2006), James Saal (PhD, 2010) and Zhi-Gang Mei (PhD, 2011). March 17, 2015 Congratulations to Bill Wang for winning the TMS LMD Young Professional Poster Contest at the TMS annual meeting in Orlando, Florida! March 14, 2015 Congratulations to Cassie Marker, Richard Otis, and Xuan Liu for receiving the Beaver travel awards to attend the CALPHAD XLIV meeting in Loano, Italy! March 9, 2015 Congratulations to Xuan Liu for a successful defense of his PhD thesis. A job well done! Xuan will start his job at Pratt & Whitney in July. We wish him all the best in his career! February 26, 2015 Congratulations to Xuan Liu for receiving the CALPHAD Scholarship for attending the CALPHAD XLIV meeting in Loano, Italy. February 12, 2015 Congratulations to Richard Otis and Yong-Jie Hu for successfully passing their comprehensive exams this week! February 9, 2015 Chelsey Hargather gave birth to her first son David Michael Hargather on January 29th. Congratulations! January 25, 2015 Venkateswara Rao Manga (Postdoc, 2010) is promoted to Research Assistant Professor in the department of materials science and engineering at University of Arizona. Congratulations! January 21, 2015 In the Year 2014 citations to Phases Research Lab papers exceeded 1000! January 20, 2015 Congratulations to Austin Ross and Pinwen Guan for passing their candidacy exams! October 17, 2014 Richard Otis received the Graduate Excellence in Materials Science (GEMS) Sapphire Award from American Ceramic Society at MS&T’14. Congratulations! September 10, 2014 Four of our papers published in Elsevier journals are the most cited 25 articles since 2009! Publications #203 and #218 in Computational Materials Science and publications #179 and #185 in Intermetallics. September 4, 2014 Congratulations to Cassie Marker for passing the candidacy exam! August 10, 2014 Congratulations to Fang Cheng for his first son born today in State College, PA! July 29, 2014 “Printing the Metals of the Future” is a very nice media release on a joint paper between NASA Jet Propulsion Laboratory/California Institute of Technology and Penn State. The collaboration was initiated by Richard Otis when he was an intern at JPL in the summer of 2013. An excellent work! June 24, 2014 Richard Otis has been selected as a finalist for the Graduate Excellence in Materials Science (GEMS) Award from the American Ceramic Society at MS&T’14. Congratulations! May 13, 2014 Congratulations to Richard Otis and Bi-Cheng Zhou for receiving $500 Beaver travel awards to attend the CALPHAD XLIII meeting in Changsha, China. April 28, 2014 Penn State News published an article on Richard Otis and the NASA fellowship he was awarded! April 17, 2014 Congratulations to Richard Otis for being offered the NASA Space Technology Research Fellowship! April 10, 2014 Christina Ciganik (BS, 2013), now working at ATI Flat Rolled Products at Latrobe, PA, is accepted into the graduate program at Colorado School of Mines to start this upcoming fall. Congratulations, Christina! April 4, 2014 The Lab won 1st place for our group entry in the Materials Science and Engineering Poster Competition! Good job Greta Lindwall, Xuan Liu, Cassie Marker, Richard Otis and Bi-Cheng Zhou! March 31, 2014 Zhi-Gang Mei (PhD, 2011) becomes a permanent staff at Argonne National Laboratory, working as a Materials Scientist at the Nuclear Engineering division and developing new nuclear fuels for test and research reactors. Congratulations! March 28, 2014 Congratulations to Yong-Jie Hu for passing the candidacy exam successfully. March 28, 2014 Congratulations to Richard Otis for receiving a Bayer Travel Grant to attend the CALPHAD XLIII meeting in Changsha, China. March 26, 2014 Congratulations to Bi-Cheng Zhou for receiving a grant from Stiftelsen för tillämpad termodynamik (the Foundation for Applied Thermodynamics) to attend the CALPHAD XLIII meeting in Changsha, China. March 3, 2014 Congratulations to Richard Otis for receiving the CALPHAD Scholarship for attending the CALPHAD XLIII meeting in Changsha, China. February 27, 2014 Congratulations to Mei Yang (MS 2006) who started her new job on December 2, 2013 at H.C. Starck in Massachusetts! January 29, 2014 Congratulations to James Saal (PhD, 2010) who will start at QuesTek on March 17. We wish him all the best in his career! January 25, 2014 Dr. Huazhi Fang’s recent publication was a featured article in Volume 115, Issue 4 of the Journal of Applied Physics and was also used as the artwork for the cover! January 21-22, 2014 Congratulations to Xuan Liu and Bi-Cheng Zhou for passing their comprehensive exams! January 15, 2014 ASM officially announces that Dr. Liu receives 2014 J. Willard Gibbs Phase Equilibria Award. January 14, 2014 Dr. Liu’s perspectives on Materials Genome published in Chinese and English. Thanks Bi-Cheng for the Chinese translation. December 1-5, 2013 The PRL members, Yi Wang, Shunli Shang, Huazhi Fang, Bi-Cheng Zhou, and YongJie Hu made four oral and two poster presentations at the MRS Fall meeting held at Boston. They also met PRL alumni Frank McGrogan (BS, 2013) and Yu Zhong (PhD, 2005). December 1-6, 2013 At the Thermec meeting held in Las Vegas, Dr. Liu gave a keynote presentation and met PRL alumnus James Saal (PhD, 2010). October 27-31, 2013 At the MS&T meeting held in Montreal, Canada, Dr. Liu met PRL alumni Raymundo Arroyave (PostDoc, 2006), Yu Zhong (PhD, 2005), and Zhi-Gang Mei (PhD, 2011). October 11, 2013 Congratulations to Richard Otis for passing the candidacy exam. August 29, 2013 Congratulations to Dongwon Shin (PhD, 2006) for co-authoring a paper published in Natural Materials, titled “Reversible redox reactions in an epitaxially stabilized SrCoOx oxygen sponge”. July 17, 2013 Dr. Chao Jiang (PhD, 2004) will join the Thermo-Calc in Pittsburgh in August. We wish him all the best in his new career! July 16, 2013 Dr. Yu Zhong (PhD, 2005) will join the Florida International University as a tenure track faculty member in August. We wish him all the best in his new career! June 10, 2013 Lei Zhang successfully defended his MS thesis, “Thermodynamic Investigation of Transition Metal Oxides via Calphad and First-Principles Methods”. Congratulations! June 6, 2013 Dr. Liu received the ASM International 2014 J. Willard Gibbs Phase Equilibria Award. May 31, 2013 Dr. Yi Wang has a paper accepted by PRL: BiFeO3 domain wall energies and structures: A combined experimental and DFT+U study. Congratulations! May 29, 2013 Dr. Liu, Bill Wang, and Hongwei Yang participated in the CALPHAD meeting held at San Sebastian of Spain and met PRL Alumni, Raymundo Arroyave and Jiong Wang. Many photos are available at www.calphad.org. May 27, 2013 Dr. Chao Jiang (PhD, 2004) published a paper in Nature as the lead author: Unexpected strain-stiffening in crystalline solids, Nature 496, 339–342 (2013). Congratulations! April 15, 2013 Dr. Liu is elected to the ASM International Board of Trustee for a term of three years. April 4, 2013 Congratulations to Frank McGrogan for winning the “Guy and Rae Rindone Award for Academic Excellence”, which is for the highest GPA in Class of 2013! Congratulations to Christina Ciganik on receiving “The Robert M. Lindsay Award” for scholarship in physical metallurgy! April 3, 2013 Congratulations to Xuan Liu for passing the candidacy exam! April 2, 2013 Bill Wang received a grant from Stiftelsen för tillämpad termodynamik (the Foundation for Applied Thermodynamics) to participate in the CALPHAD XLII in San Sebastian, Spain on May 26th-31st, 2013. March 7, 2013 Bill Wang and Dr. Liu met a number of Phases Research Lab Alumni at the TMS 2013 Annual Meeting at San Antonio, Texas. They are Chao Jiang, Shengjun Zhang, Zhi-Gang Mei, Dongwon Shin, Guang Sheng, James Saal, and Raymundo Arroyave. March 6, 2013 Congratulations to Bill Wang for receiving TMS LMD best graduate poster award in TMS 2013 Annual Meeting at San Antonio, Texas. February 6, 2013 Jingzhi Zhu (Postdoc 2005) will move to the Koch Institute of Cancer Research in MIT in February 2013. Congratulations and welcome back to university research environment. January 29, 2013 Bill Wang is one of the ten Materials Science and Engineering International Travel Grant (Bayer Travel Fund) recipients for the 2013-2014 academic year, to be used for the Magnesium Workshop 2013 in Madrid, Spain. January 24, 2013 Congratulations to Bill Wang for passing the comprehensive exam. January 22, 2013 Congratulations to Sung Hoon Lee (PhD 2011) for winning the silver award at “SAMSUNG Best Paper Award 2012”. The title of his paper is “Enhancing phase stability and kinetics of Li-rich layered oxide for an ultra high performing cathode in Li-ion battery” among over the 1,500 papers submitted from Samsung branches with fewer than 20 papers awarded in this year. December 13, 2012 Dr. Liu met Laura Jean Lucca (BS 2010) and her husband Nick Weidman in DC. Both of them now work in the DC area. December 13, 2012 Congratulations to Guang Sheng (PhD 2011) for winning 2013 TMS Young Leader Professional Development Award (EMPMD division)! He will be at the TMS meeting in San Antonio in March to accept the award. December 13, 2012 Congratulations to James Saal (PhD 2010) for winning the LMD TMS Young Leader Award! He will be at the TMS meeting in San Antonio in March to accept the award. December 2, 2012 Congratulations to Qianxue Liu and Huazhi Fang for their second son born today in State College, PA! November 15, 2012 Congratulations to Hui Zhang (PhD, 2010) and Guang Sheng (PhD, 2011) for their first baby, Ann, born tonight at Mount Carmen Saint Ann hospital in Westerville OH! It is simply wonderful. November 10, 2012 Congratulations to Chelsey Zacherl (PhD, 2012) for her terrific wedding today with Michael Hargather at Herndon, VA. Wish them all the best. October 15, 2012 Congratulations to Bill Wang for receiving the GEMS Diamond award from American Ceramic Society at MS&T, 2012! October 5, 2012 Congratulations to Bill Wang for successfully defending his MS thesis! October 1, 2012 Congratulations to Bill Wang for receiving the ACerS Nuclear and Environmental Technology Division (NETD) Student Travel Stipend to the MS & T 2012 meeting in Pittsburgh. He will be introduced to the Division and awarded the stipend at the NETD Annual Business Meeting on October 8, 2012 at the MS & T 2012. August 31, 2012 Bill Wang has been selected as a finalist for the Graduate Excellence in Materials Science (GEMS) Award from American Ceramic Society at MS&T’12. Congratulations! July 9, 2012 Yan Annabelle Ling is currently working for Accenture as a Systems Integration Analyst based in DC. She is on the federal side working with government agencies, whose current client is the Defense Logistics Agency. July 6, 2012 Congratulations to Yan Liu and Bill Wang for having their daughter born this morning! Her name is En Jia Wang. We got another junior member in our group! June 12, 2012 Congratulations to Chelsey Zacherl for having successfully defended her PhD dissertation titled “An investigation of thermodynamic and diffusion properties of Ni-base superalloys for understanding materials behavior: A combined CALPHAD and first-principles study”! June 11, 2012 Congratulations to Mei Yang for the 2012 HTS/Bodycote Best Paper in Heat Treating Award! June 3-8, 2012 Bill Wang and Dr. Liu attended the CALPHAD meeting held at Berkeley, CA, along with PRL alumni Raymundo Arroyave and Jiajia Han and collaborators Profs. Yong Du and Xingjun Liu and their groups. The meeting photo album is available at our photo page and the calphad.org web site. May 30, 2012 During his trip to Japan, Dr. Liu visited Tohoku University and Kyushu Institute of Technology and gave a plenary talk at the International Symposium on Steel Science (ISSS 2012) and met Arkapol Saengdeejing (PhD 2011) at Tohoku University and ISSS. May 7, 2012 After his commencement, Zhi-Gang Mei (PhD 2011) visited the group. May 1, 2012 Dr. Liu visited Northwestern University on April 30 and May 1 and delivered a colloquium presentation in the department of materials science and engineering. He also met Shengjun Zhang (PhD 2006), who received an offer from Scoperta, Inc.
April 17, 2012 Congratulations to Mei Yang (MS 2006) for successfully defended her PhD thesis at Worcester Polytechnic Institute on “Nitriding – fundamentals, modeling and process optimization”. A job well done. April 16, 2012 Congratulations to Yi Wang and ShunLi Shang for their promotion to Senior Research Associate effective on July 1, 2012! April 13, 2012 Congratulations to Lauren Skrabski for receiving Robert W. Lindsay Award in Metallurgy and David W. Richerdson Service Award in Materials Science and Engineering in the 2012 spring department banquet! April 13, 2012 Congratulations to Lorraine Hossain for receiving Dean’s Freshman Scholarship in the College of Earth and Mineral Sciences, Norris B. McFarlane Scholarship, and Matthew J. Wilson Honors Scholarship in the 2012 spring department banquet! April 13, 2012 Congratulations to Bill Wang for receiving the second place on graduate poster in the 2012 spring department banquet! March 26, 2012 Congratulations to Brian Vanleeuwen, Bill Wang, and Bi-Cheng Zhou for successfully passing the candidacy exam. March 19, 2012 Dr. Liu and Brian Vanleeuwen attended the TMS meeting held last week in Orlando, Florida. The PRL alumni at the meeting included Raymundo Arroyave, Bill Golumbfskie, Xidong Hui, Yongfeng Liang, Venkateswara Rao Manga, Dongwon Shin, Mei Yang, Shengjun Zhang, and Yu Zhong. Feb. 23, 2012 The CCMD bi-annual meeting was held at Savannah, Georgia, from Feb. 20 to Feb. 22. Dr. Hui Zhang (PhD, 2010) came to the meeting, representing Diamond Innovation, Inc.. Yi Wang, Shunli Shang, Huazhi Fang, and Chelsey Zacherl presented their projects at the meeting. Jan. 23, 2012 Laura Schell (BS 2011) started to work at Guardian Industries in Carleton, MI, on cutting edge window technology. Congratulations! Jan. 31, 2012 The YPHON developed by Dr. Yi Wang in our group has been officially licensed to Army Research Lab. Congratulations. Jan. 23, 2012 Congratulations to Christina Ciganik on her acceptance into the Engineering Mentoring for Internship Excellence program at Penn State, providing her with a summer internship at ArcelorMittal in Steelton, PA for the summer of 2012! Jan. 4, 2012 Dr. Zhi-Gang Mei (PhD, 2011) will start at Argonne National Lab on February 6, 2012. Wish him all the best in the new chapter of his career! Now five people from our group went to Chicago area. Jan. 3, 2012 The YPHON and EECC developed by Dr. Yi Wang in our group have been officially licensed to URS Corp in association with the DOE National Energy Technology Lab (NETL). Congratulations. Dec. 15, 2011 Congratulations to Zhi-Gang Mei for having successfully defended his PhDthesis! Nov. 29, 2011 During his trip to Northwestern University, Dr. Liu met James Saal (PhD, 2010) and Shengjun Zhang (PhD, 2006) and learned that Shengjun is married with one son. Nov. 17, 2011 The SQS phonon paper by Yi Wang et al. has been selected for inclusion in IOP Select, http://Select.iop.org. IoP Select is a special collection of journal articles, chosen by IOP Editors based on one or more of the following criteria:Substantial advances or significant breakthroughs, A high degree of novelty, Significant impact on future research. Nov. 5, 2011 Congratulations to Chelsey Zacherl and her fiance Michael Hargather for their engagement this past Saturday! Nov. 4, 2011 Dr. Liu has received the 2012 Brimacombe Medalist Award from TMS. This award recognizes an individual with sustained excellence and achievement in business, technology, education, public policy, or science related to materials science and engineering. Professor Liu will receive this award at the Annual Awards dinner on Mach 13, 2012 in Orlando, Florida. Congratulations! Nov. 3, 2011 Congratulations to Dr. Raymundo Arroyave (Postdoc 2006) for receiving the honorable mention in the TMS Early Career Faculty Fellow! Nov. 3, 2011 Congratulations to Dr. Raymundo Arroyave (Postdoc 2006) and his wife Berenice for the birth of their second child, a baby boy named Diego, on Oct. 24th! Oct. 27, 2011 Zhi-Gang received the Graduate Excellence in Materials Science Sapphire Award from American Ceramic Society at MS&T’11. Congratulations! Sept. 29, 2011 Chelsey Zacherl passed her comprehensive exam today. Congratulations! Sept. 26, 2011 A joint proposal with Prof. Marcel A.J. Somers at Technical University of Denmark with our effort led by ShunLi Shang is granted. Congratulations to ShunLi! Sept. 13, 2011 Jingxian Zhang (PhD, 2007) has moved to GE Aviation at Cincinnati, OH. Congratulations. Sept. 8, 2011 Congratulations to Lauren Skrabski, Christina Ciganik, and Rachel Guarriello for being on the Fall 2010 and Spring 2011 Dean’s List. Sept. 7, 2011 Congratulations to Qianxue Liu and Huazhi Fang for the birth of their first child, a baby boy named Andrew, today in State College, PA! August 24, 2011 Dr. Liu met Mei Yang (MS, 2006), Yu Zhong (PhD, 2005), and their 6 year old son, and Jingzhi Zhu (PostDoc, 2005), his wife, and their 2 year old daughter on the way to Boston. They are all doing very well. Mei is expecting her PhD from WPI in the near future. August 9, 2011 DongEung Kim successfully defended his dissertation titled “Thermodynamic Modeling and Prediction of Elastic and Thermal Expansion Properties of Ni-base superalloys: Application to Ni-Al-Pt-Cr-Hf system with gamma and gamma prime phases”. Congratulations!! August 2, 2011 Tao Wang (PhD 2006) became a staff member at Ames Lab. Congratulations!! July 16, 2011 Congratulations to 2010 PRL alumna Laura Jean Lucca for her engagement today. Best of luck! July 14, 2011 The PRL group attended the ICME conference at Seven Springs from July 10 to 14. PRL alumni, Mei Yang (MS, 2006), Yu Zhong (PhD, 2005), and Jingxian Zhang (PhD, 2007) were also at the meeting as shown in the conference album on our photo web page. July 1, 2011 Swetha Ganeshan (PhD 2010) will start working at Kennametal, Inc. this month. Congratulations!! June 27, 2011 DongEung Kim and Taeyi Choi welcomed their second child to the world today, Elizabeth Younha Kim, in State College. Congratulations!! June 24, 2011 Sung Hoon Lee successfully defended his dissertation titled “A study of ionic materials for the energy applications through first-principles calculations and CALPHAD modeling”. Congratulations!! June 10, 2011 Arkapol Saengdeejing successfully defended his dissertation titled “A Computational Study of Superconducting Materials: A Case Study in Carbon-doped MgB2”. Congratulations!! May 17, 2011 Congratulations to Wei Dai and Zhi-Gang Mei for their son, Steven (Diwen), born in this afternoon at Gainesville, Florida, the newest addition to the junior PRL members (over a dozen so far). May 15, 2011 Dr. Liu participated in the graduate school commencement held at Bryce Jorden Center with Swetha Ganeshan, Yan Ling, and Guang Sheng. Congratulations to all of them. May 13, 2011 Dr. Liu was on stage at the Schreyer Honors College Commencement in the afternoon for Annabelle Yan Ling and Earth and Mineral Sciences Commencement in the evening for Annabelle Yan Ling and Laural Schell. Congratulations to both. April 18, 2011 Laura Schell won the Materials Science and Engineering Service and Leadership Award at the annual MatSE awards banquet. She was President of Materials Advantage and Keramos this academic year. Congratulations! April 18, 2011 SungHoon Lee won third place in the Materials Science and Engineering Graduate Research Poster Competition at the annual MatSE awards banquet. Congratulations! April 18, 2011 The 2011 group poster designed by Alyson Lieser, Chelsey Zacherl, and Brian Vanleeuwen won third place in the Materials Science and Engineering Graduate Research Poster Competition at the annual MatSE awards banquet. Congratulations! April 18, 2011 Yan (Annabelle) Ling won second place in the Materials Science and Engineering Undergraduate Research Poster Competition at the annual MatSE awards banquet. She was also recognized for two scholarships, the Sam Zerfoss Memorial Scholarship Fund and the Penn State Metallurgy Alumni Scholarship. Good work! April 18, 2011 At the annual MatSE awards banquet, Lauren Skrabski was recognized for her leadership of Supply Logistics Hardware and Lumber Captain, 2011 Penn State IFC/Panhellenic Dance Marathon. She was also the Secretary of Materials Advantage and Keramos. April 16, 2011 Dr. Liu met Laura Jean Lucca (BS 2010) and Bradley Hasek (MS 2010) at today’s MatSE Pig Roast event. Lauren Skrabski was in charge of the event, and Jiong Wang and Zhi-Gang Mei also attended. April 10, 2011 Dr. Liu receives the Faculty Mentoring Award of College of Earth and Mineral Science at Penn State during the Wilson Banquet. April 8, 2011 Yan (Annabelle) Ling successfully defended her MS thesis titled “First-principles calculations and thermodynamic modeling of the Hf-Re binary system with extension to the Hf-Ni-Re ternary system”. Congratulations!! April 5, 2011 Chelsey Zacherl received first place at the 2011 College of Engineering Research Symposium for her paper and presentation on “First-principles calculations and thermodynamic modeling of the Re-Ti system”. April 4, 2011 Brian VanLeeuwen received an Honorable Mention from the 2010 National Science Foundation Graduate Research Fellowship Program. Congrats! April 1, 2011 Guang Sheng (PhD 2011) started working at Scientific Forming Technologies. March 29, 2011 Dr. Liu visited Diamond Innovations at Worthington, OH, where Hui Zhang (PhD, 2010) is currently working, to discuss potential collaborations. 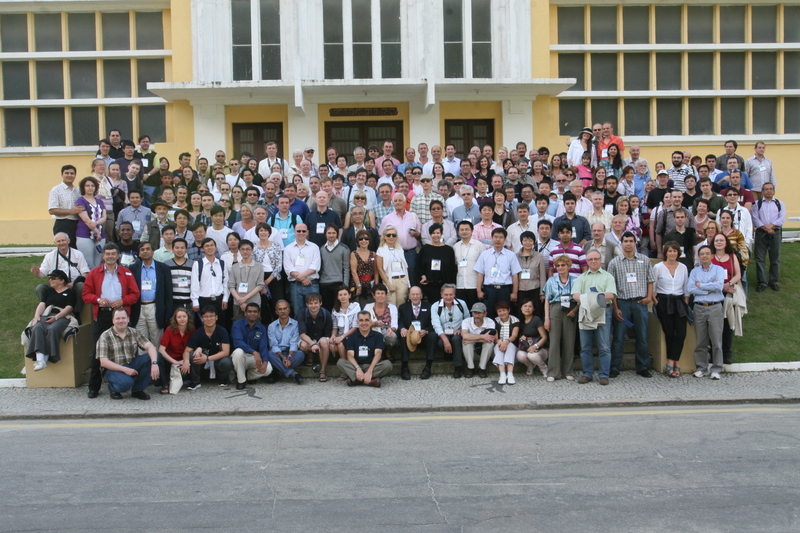 March 18, 2011 Sung Hoon Lee received a grant from Stiftelsen för tillämpad termodynamik (the Foundation for Applied Thermodynamics) to attend the XL CALPHAD meeting in Rio de Janiero, Brazil. March 14, 2011 Guang Sheng successfully defended his dissertation titled “Phase-field simulation of phase transitions, domain stabilities and structures in ferroelectric thin films”. Congratulations!! March 10, 2011 Chelsey Zacherl received a CALPHAD Scholarship to attend the XL CALPHAD meeting in Rio de Janiero, Brazil. March 4, 2011 Dr. Liu chaired the Hume-Rothery Symposium at 2011 TMS annual meeting honoring Prof. John Agren (Dr. Liu’s PhD advisor) as the recipient of the award and had a dinner with PRL alumni Raymundo Arroyave, Bill Golumbfskie, Xidong Hui, Dongwon Shin, Tao Wang, and Shengjun (Dennis) Zhang at the meeting. Jan 1, 2011 Chelsey Zacherl and Zhi-Gang Mei are two of the ten Materials Science and Engineering International Travel Grant recipients for the 2010-2011 academic year, to be used for the CALPHAD meeting in Rio de Janeiro, Brazil. Dec 2, 2010 Dongwon Shin (PhD, 2006) receives a 2011 TMS Young Leader Award. Congratulations! Dec 2, 2010 Guang Sheng received the Materials Research Society Graduate Student Silver Award at the 2010 Fall MRS meeting. Nov 23, 2010 Lauren Skrabski became the first recipient of the Ellwood Group Annual Metallurgy Scholarship at Penn State. Congratulations on such an amazing achievement. Oct 31, 2010 The first manuscript led by an undergraduate student, Abdelaziz Elmadani, titled “Effect of Lead Oxide Vapor on the Strength of Alumina”, is accepted by Int. J. Appl. Ceram. Technol. for publication. Oct 18, 2010 Lauren Skrabski received a National Science Foundation Undergraduate Travel Grant and a Penn State Old Main Undergraduate Travel Grant to attend the annual MS&T 2010 conference in Houston, TX. Oct 15, 2010 Swetha Ganeshan successfully defended her PhD dissertation titled “A first-principles study of elastic and diffusion properties of Mg based alloys.” Congratulations! She will be a postdoc at Northwestern University. Oct 15, 2010 Sandra Watson received an Earth and Mineral Sciences Staff Centennial Award. Congratulations and thank you for all of your hard work! Sept 29, 2010 Guang Sheng received the 2010 MatPAC (Materials Pennsylvania Coalition) Outstanding Graduate Student Award. Congratulations! Sept 22, 2010 Chelsey Zacherl and Zhi-Gang Mei received a grant from Stiftelsen för tillämpad termodynamik (the Foundation for Applied Thermodynamics) to participate in the INSTN/CEA winter school on Fundamentals of Thermodynamic Modelling of Materials in Saclay, France in November 2010. Sept 21, 2010 James Saal successfully defended his PhD dissertation on “Thermodynamic Modeling of Phase Transformations: Cobalt Oxides.” Congratulations! He will be a postdoc at Northwestern University. Aug 27, 2010 Hui Zhang successfully defended her PhD dissertation on “Thermodynamic Properties of Mg Based Alloys by CALPHAD Approach Couple with First-Principles: Application of Mg-Al-Ca-Ce-Si System.” Congratulations! She will work at Diamond Innovations. Aug 26, 2010 SungHoon Lee successfully passed his comprehensive exam. Congratulations. Aug 12, 2010 Dong Eung Kim successfully passed his comprehensive exam. Congratulations. July 27, 2010 Congratulations to Seung Nam Noh and Sung Hoon Lee for their twin sons, Andrew (Jae Hyeok Lee) and Ryan (Jae Won Lee), born in the morning at State College. July 23, 2010 Bill and Chelsey received the Poster Awards of The Gordon Research Conference on High Temperature Materials, Processes & Diagnostics. June 2, 2010 Carl Brubaker (MS, 2002) received the 2009-2010 Metallurgical Engineering Assistant’s Award from the Philadelphia ASM chapter. June 1, 2010 ShunLi Shang, Chelsey Zacherl, and Maddie Boyer go to Central South University in Changsha, Hunan, P.R.C. as visiting scholars for a month to work in Dr. Yong Du’s group. May 7, 2010 Guang Sheng received the 2009 Chinese Government Award for Outstanding Graduate Student Aboard. April 22, 2010 Both Swetha Ganeshan and James Saal successfully passed their comprehensive exams. Congratulations. April 19, 2010 Both DongEung Kim and James Saal received the Graduate Research Excellence Award. April 19, 2010 Chelsey Zacherl won second place in the Materials Science and Engineering Graduate Research Poster Competition. April 19, 2010 Abdelaziz Elmadani won the first place in Materials Science and Engineering Undergraduate Research Poster Competition. April 6, 2010 Chelsey Zacherl received an Honorable Mention from the 2010 National Science Foundation Graduate Research Fellowship Program. March 29, 2010 DongEung Kim and Arkapol Saengdeejing received a grant from the Stiftelse för tillämpad termodynamik (Foundation for Applied Thermodynamics) to participate in the CALPHAD conference this year in Jeju, Korea. March 28, 2010 Guang Sheng received a third place award in the 2010 Graduate Exhibition of Penn State. March 5, 2010 Chelsey Zacherl passed the candidacy exam. Congratulations. Jan 21, 2010 Arkapol Saengdeejing received the CALPHAD Scholarship for attending the meeting in Jeju, Korea. Dec 17, 2009 James Saal received the TMS Student Travel Grant to attend the TMS annual meeting in Seattle in Feb. 2010. Dec 16, 2009 Dr. Liu visited Jingxian Zhang (PhD, 2007) and his colleagues at Carpenter Technology at Reading, PA.
Dec 15, 2009 Laura Jean Lucca received a Student Leader Scholarship through the Penn State Division of Student Affairs. This scholarship is in recognition of her work as Secretary with The College of Earth and Mineral Sciences Student Council over the past three years. Nov 28, 2009 Congratulations to Priya and Venkateswara Rao Manga for their son Venkat Shivank born in the afternoon at State College. Nov 28, 2009 Dr. Liu participated at the dinner and dance party at Paxion, PA, by Bill Golumbfskie (PhD, 2005) to celebrate his wedding on Oct. 16 at Minnesota. Nov 5, 2009 Manjeera Mantina (PhD, 2008) gave birth to her son Prahalada today. Congratulations. Nov 2, 2009 We had a great time at MS & T 2009 with 3 research associates/postdoc, 10 graduate students, and 4 undergraduate students from our group presented at the meeting, giving total 19 presentations. We also met our alumni Raymundo Arroyave and Bill Golumbfskie. Nov 1, 2009 Laura Schell was elected to Trustee of National Keramos. Oct 4, 2009 Dr. Liu met Dongwon Shin at the USAMP project meeting in Detroit. Dongwon received the Weinberg fellowship at ORNL and will join ORNL in the near future. Sept 28, 2009 Dr. Liu visited Carpenter Technology where Jingxian Zhang is working. July 22, 2009 The SEEMS group advised by Sung Hoon Lee won the first place this year. July 16, 2009 Laura Jean received the TMS Light Metals Division Scholarship. This scholarship is awarded to full-time students majoring in materials science and engineering with an emphasis on traditional and emerging light metals. Laura Jean will be traveling to Seattle in February to be presented with the award. July 15, 2009 Laura Jean received the George A. Roberts Scholarship through the ASM Foundation. This award will be presented at the ASM Luncheon at the MS&T Conference in Pittsburgh in October. June 19, 2009 Weiming Feng successfully defended her PhD thesis on “Phase-field models of microstructure evolution and new numerical strategies”. June 1, 2009 ShunLi Shang, James Saal, and Yan Ling go to Central South University in Changsha, Hunan, P.R.C. as visiting scholars for a month to work in Dr. Yong Du’s group. June 1, 2009 Laura Jean received the Charles W. Finkl Fund Scholarship. This award is given through the Forging Industry Educational and Research Foundation. April 22, 2009 Jingxian Zhang (PhD, 2007) accepted a position at Carpenter Technology in Reading, PA.
April 20, 2009 The Phases Research Lab poster, designed by James Saal and Chelsey Zacherl, wins the first place in graduate research poster competition. April 12, 2009 Laura Jean Lucca received the ASM Philadelphia Liberty Bell Chapter’s Scholarship for the third time and will be awarded in May at their monthly dinner. April 3, 2009 Congratulations to Taeyi Choi and DongEung Kim for their son, David Yeonu Kim, born last night at State College. April 2, 2009 Bill Golumbfskie (PhD, 2005) now works at Naval Surface Warfare Center, Carderock Division, West Bethesda, Maryland. April 1, 2009 Congratulations to Yan Li and Jingxian Zhang (PhD, 2007) for their daughter, Chloe, born today. March 27, 2009 Guang Sheng passed his comprehensive exam. March 25, 2009 Both Swetha Ganeshan and Guang Sheng received the Kennametal Fellowship Award. March 22, 2009 Laura Jean Lucca was awarded with the College of Earth and Mineral Sciences Ellen Steidle Achievement Award for Juniors. This award is given to a Junior student who has been particularly active in advancing the welfare and improvement of the College and its student body. March 6, 2009 Zhi-Gang Mei successfully passed the candidacy exam. March 5, 2009 Hui Zhang and Guang Sheng will get married in April 2009. March 3, 2009 Laura Jean Lucca received the Charles and Sharon Bell Scholarship for Citizenship and Leadership. This is a Penn State award that recognizes students who give leadership and citizenship to the community. Jan 29, 2009 James Saal received the CALPHAD Scholarship for attending the CALPHAD meeting in Prague in May 2009. Jan 17, 2009 PRL alumna, Mei Yang (MS, 2006), will start her PhD program at Worcester Polytechnic Institute with Prof. Sisson. Jan 10, 2009 Sung Hoon Lee is getting married this month. Dec 11, 2008 Guang Sheng received the TMS student travel grant for attending the TMS 2009 Annual Meeting at San Francisco. Nov 24, 2008 James Saal received the Bayer International Travel Grant for attending the CALPHAD meeting in Prague in May 2009. Nov 10, 2008 Laura Jean Lucca was elected to the 2008/2009 Undergraduate Research Fellows in the department. October 15, 2008 Guang Sheng received a Graduate Excellence in Materials Science (GEMS) sapphire award at the Materials Science and Technology 2008 Meeting in Pittsburgh, PA, given by the Basic Science Division of the American Ceramic Society. October 7, 2008 Following alumni were at the MS & T meeting: Raymundo Arroyave, Melissa Marshall, Dongwon Shin, Shengjun Zhang, along with many from Penn State. October 7, 2008 Brad Hasek was awarded a FeMET Scholarship from AISI for his active academic achievements and interest in the iron and steel industry. October 6, 2008 Laura Jean Lucca was awarded the John M. Haniak Scholarship at MS&T 2008, which is given to an outstanding undergraduate member of ASM International at the junior or senior level who demonstrates exemplary academic and personal achievements, as well as interest in metallurgy or materials science and engineering. August 25, 2008 Chelsey Zacherl was awarded the 2008/2009 Anne C. Wilson Graduate Student Fellowship from the College of Earth and Mineral Sciences, which recognizes outstanding students enrolled in the College of Earth and Mineral Sciences. June 23, 2008 James Saal received the NASA Space Grant Fellowship for the 2008-09 and 2009-10 academic years from the Pennsylvania Space Grant Consortium. June 2, 2008 Laura Jean Lucca received the ASM International Philadelphia Liberty Bell Chapter Scholarship and the Charles W. Finkl Fund Scholarship. April 27, 2008 Yan (Anne) Ling and Laura Jean Lucca were elected to the 2007/2008 Undergraduate Research Fellows in the department. April 26, 2008 Laura Jean Lucca received the Charles and Sharon Bell Scholarship for Citizen and Leadership Award, a University wide award at Penn State. April 12, 2008 First Phases Research Lab Retreat was held this week at Toftrees. April 11, 2008 Matt Benzio joined Rolls Royce Energy Systems in Mt. Vernon, OH. The facility manufactures and packages power turbines and compressors for natural gas pipelines. Matt worked for his BS in our lab in 2004. We wish him good luck in the new position. April 11, 2008 Hui Zhang successfully passed her comprehensive exam today. April 3, 2008 Jingxian Zhang received the Academic Excellence Award of the Intercollege Graduate Program in MatSE. March 28, 2008 Zi-Kui Liu visited Raymundo Arroyave at the Department of Mechanical Engineering, Texas A & M University. Raymundo was with us from April 2004 to July 2006. Mach 14, 2008 Following alumni were at the TMS meeting: Raymundo Arroyave, Chao Jiang, Tao Wang, Jingxian Zhang, Shengjun Zhang, along with Yi Wang and Swetha Ganeshan from Penn State. March 7, 2008 DongEung Kim successfully passed the Candidacy Exam.